What Is an ARC Bond? ARC Bonds are types of surety bonds required by the Airline Reporting Commission (hence the acronym “ARC”) in order to ensure that any payment collected by a travel agent will be sent to the proper airline company. If for any reason you fail to forward payments to airline carriers, a claim can be made on your ARC bond. You can read more about it in the Questions section below. Who needs to obtain an ARC bond? How much does an ARC bond cost? Can I get an ARC bond with bad credit? How do I get my ARC bond? How do I renew my ARC bond? How are bond claims handled for ARCs? Travel agents, agencies or other businesses that plan to offer airline transport to their customers need to post an ARC bond. By obtaining this bond, they get accredited by the Airlines Reporting Corporation to sell airline tickets to their customers, and to receive travel-related information. 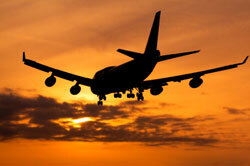 An ARC bond works as a protection for airline carriers, not for your travel agency. It guarantees full payment to ARC and airline carriers on transactions made through the ARC platform. ARC bonds are different from travel agency bonds, which guarantee your compliance in all your bookings, regardless of whether they involve airlines. The Airlines Reporting Corporation is the entity requiring ARC bonds, while travel agency bonds are often required by your state. Depending on your location, you might need to obtain both bonds. The surety bond cost you will have to pay in order to obtain your ARC bond is determined on the basis of the bond amount that you need to post, and your business and financial history. When you apply for the first time with the Airlines Reporting Corporation, you will be asked to post a $20,000 bond. After two years you can reduce it by half. After these first years, your bond amount set by the ARC can be between $10,000 and $100,000. Your specific amounts depends on your average monthly net cash for the last 12 months. In any case, you will not have to pay the full bond amount that you are required to post. To get bonded, you just need to pay the bond premium, which is a percentage of the required amount, usually between 1%-5% for ARC bonds. Besides the bond amount, your personal and business financial statements heavily influence your bond price. The most important factor that sureties consider when reviewing your bond application usually is your personal credit score. Other indicators are your assets and liquidity, overall business stats, and your experience in the field. By improving your finances, you can get a lower bond premium. In general, bonding rates for ARC bonds are higher than for lower risk bonds. Additionally, many sureties require you to post collateral to mitigate the higher risk. With a good credit score, Lance Surety Bonds can get you bonded without collateral– and at the best rates for ARC bonds on the standard market. Our surety bond cost guide is a good starting point to understand how your bond premium is formulated. Unlike more popular surety bonds such as auto dealer or freight broker bonds, ARC bonds are financial guarantee bonds and are considered high risk. That’s why it isn’t possible to offer a bad credit program for applicants with problematic finances. The risk is higher because an ARC bond is there to guarantee the delivery of funds. This also makes it more difficult for sureties to clearly assess the risk of taking on a bond applicant. Lance Surety Bonds offers excellent conditions for travel agencies to obtain the ARC bonds they need, by removing the collateral requirement. You can start your bonding process today with a few clicks. To get your ARC bond with Lance Surety Bonds, just apply online. Make sure to fully complete the application and include all relevant documents. Once we have those from you, we will deliver your free, no-obligations quote as soon as possible. Since we foster tight relations with a number of A-rated, T-listed surety companies, we are able to get your ARC surety bond at exclusive rates across the country, even though there are no specialized markets for such bonds. To get started, call us today at (877) 514-5146. If you can’t find answers to your questions in our How to Get Bonded page, our bonding experts will be happy to help you out. ARC bonds are continuous, which means that as long as you want to have your ARC accreditation in place, you need to keep the bond. Whenever you need to renew your ARC bond, Lance Surety Bonds will remind you in advance about upcoming deadlines, so that you never miss one. You’ll get a notification a few months earlier, followed by contacts via mail, fax and email. This gives you enough time to renew your ARC bond and stay compliant with ARC, so you can continue your airline ticket sales. Especially with high risk bonds like ARC bonds, it’s important to remember that they don’t protect your business like insurance does. If you fail to make all due payments to ARC and airline carriers, you can face a claim on your bond. For proven claims, your surety will make all payments up to the penal sum of the bond at first, but afterwards you need to reimburse it in full. Claims can cause great harm to your travel business, hampering you from obtaining ARC bonds in the future, and jeopardizing your agency’s reputation with airline carriers and customers. That’s why it’s recommended to avoid them as much as possible.